At the iconic Hay-Adams, happy hour reaches new heights as Off the Record climbs to the lobby level for an August “pop-up” experience of elevated elegance. The Hay-Adams Room will be transformed into the hotel’s famous watering hole oasis from Monday, August 7th to Monday, September 4th. One will find Off the Record’s collectable political coasters, stately furnishings and classic cocktails served at the new bar, just off the lobby entrance. Guests can also enjoy lunch and dinner under the portraits of John Hay and Henry Adams in this impressive, paneled gathering place. This pop-up is happening in what was The Hay-Adam’s original dining room and popular bar during the heyday period from the 1940s to the 1960s. 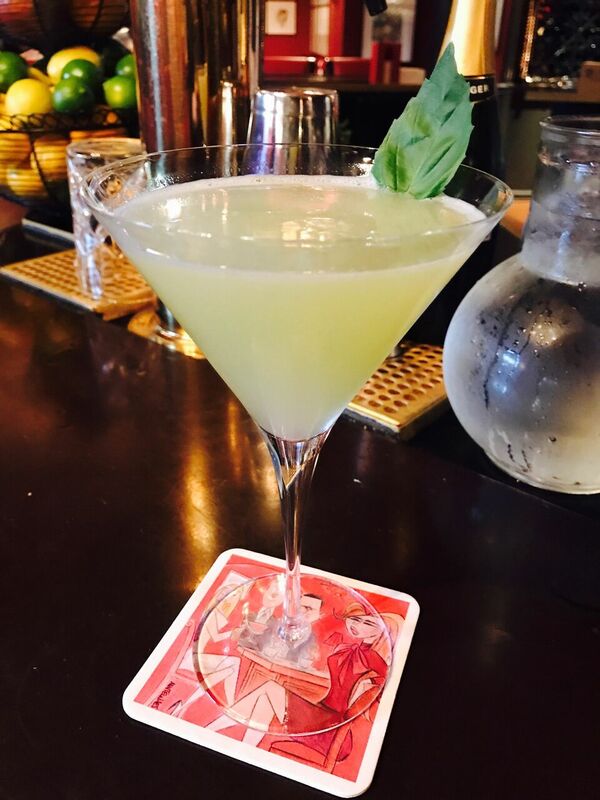 Come sip a refreshing Mint Julep, Lime Rickey, or a Fill A Buster, with Hendricks gin, Domaine de Canton, cucumber, basil and Champagne, and savor a summer bar menu created by Executive Chef Nicolas Legret. The menu includes OTR Slides with crab cake and tartar sauce; Seafood Platter with six East Coast oysters, six jumbo shrimp, one-half main lobster with mignonette and cocktail sauce; Burrata Salad with compressed watermelon, baby heirloom tomato, grapefruit, and arugula pesto; New England Mini Lobster Rolls with artisan greens; Trofiette Pasta, fava bean ragout, baby artichoke, morel mushroom and summer truffle; Grilled Black Angus Strip Steak, with petite romaine, hand-cut fries and Maitre d’Hotel butter. For dessert, Pastry Chef Josh Short is preparing S’Mores Cheesecake with toasted marshmallow, chocolate cheesecake and graham cracker; Homemade Ice Cream & Sorbets prepared fresh daily, and ½ A Dozen Hay-Adams Baked Cookies, chocolate chip and oatmeal with Michigan cherries. Starters and salads range from $12 to $36, sandwiches are $18 to $20, entrees are $24 to $28, and desserts are $10. Cocktails range from $17 to $21. This limited time, exclusive experience is a must do for August, a congenial venue to celebrate with friends and sample a bit of history. Off the Record, the renowned downstairs hideaway, will be closed during the pop-up dates and will reopen September 5th with subtle enhancements to the bar. Hours for the pop-experience in the upstairs Off the Record are Sunday-Thursday 11:30 AM to 12 AM; Friday & Saturday from 11:30 AM to 12:30 AM. The full bar menu will be served until 11:30 PM daily.